A wide variety of content calls for a variety of contributors – research, blogging, copywriting, press releases, long-form sales letters, SEO-optimized content, etc. – you would be extremely lucky if you can hire someone who can do it all. Outsourcing allows you to bring in multiple content developers on a project basis, or on a part-time basis – sometimes as little as 1 hour a week. 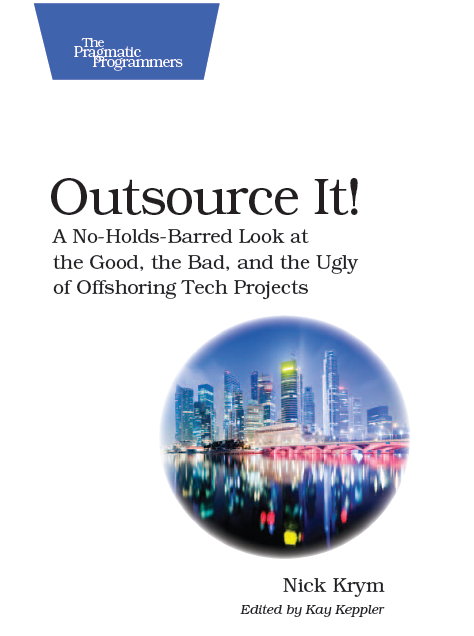 Outsourcing enables you to look globally for the very best talent available. When you are no longer limited by geography, you can hire the very best person for the exact task you need. There are amazingly talented professionals from all over the world who could write a blog for your business that would be brilliant, witty and search engine optimized in nearly no time flat. To think of it, who would’ve thought that one of the most prominent and prolific US bloggers today would be a young woman who grew up in Bulgaria? It is worth mentioning that outsourcing your content creation saves you a tremendous amount of money. I often repeat that when it comes to outsourcing the rate difference could be deceiving – a programmer who charges 3 times less can cost you twice as much. It’s not the case with content outsourcing. After you find the right person you are no longer constrained by the distance, overhead, and communication barriers. Location doesn’t matter much in this case. I helped many of my clients to bring professionals from all over the world to assist them with their content creation. I have seen what it has done for their bottom line. I saw them no longer bogged down by content creation needs, which freed up their time to focus on the projects that they are best at, giving a huge boost to the top line. So I urge you to strongly consider where your time is best spent. Writing that weekly blog? Racking your brain about what to tweet next? Or working on the projects that keep you in business? ‘nough said. What are your thoughts on content outsourcing? What content have you outsourced? And if you don’t outsource, why not? Leave your comments below or email me at krym2000-po@yahoo.com.